Yemen’s Houthi rebels dismiss accusations that Iran supplied them with missile fired at Saudi Arabia. Yemen’s Houthi rebels on Thursday dismissed U.S. accusations that Iran had supplied a missile fired at Saudi Arabia last month, claiming it was an attempt to divert attention from the United States’ decision to recognize Jerusalem as Israel’s capital. “After three years of war, America suddenly finds evidence that Iran supports the Houthis,” a spokesman for the Houthis, Abdel-Malek al-Ejri, said in a message on his Twitter account, according to Reuters. “America did not find any evidence in all the missiles fired from Yemen until now. The story is clear. They want to give Arabs a story to divert their attention from Jerusalem. Instead being angry at Israel, they wave the Iranian bogey,” he claimed. The tweets came hours after U.S. Ambassador to the UN Nikki Haley presented for the first time pieces of what she said were Iranian weapons supplied to the Iran-aligned Houthis, describing it as conclusive evidence that Tehran was violating UN resolutions. The Houthi rebels and their allies overran most of Yemen in 2015, prompting the country’s president Abedrabbo Mansour Hadi to flee into exile. 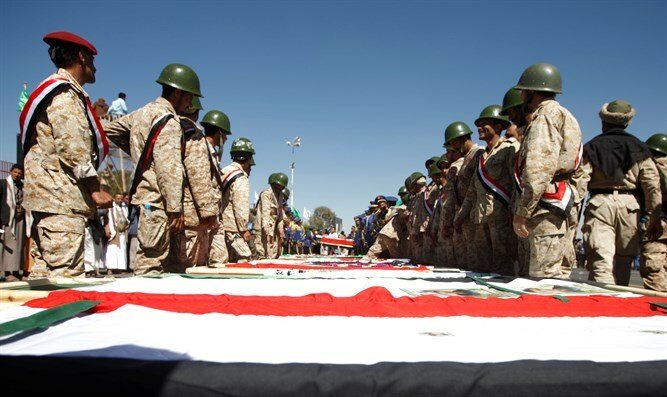 Iran has repeatedly rejected as “propaganda” claims that it was supplying weapons to the Houthis, and did so again on Thursday. Iranian Foreign Minister Mohammad Javad Zarif posted on Twitter a photo of Haley juxtaposed with a well-known image of former Secretary of State Colin Powell appearing before the Security Council, where he provided intelligence in the run-up to the 2003 Iraq war that was later found to be false. "When I was based at the UN, I saw this show and what it begat...," Zarif wrote.